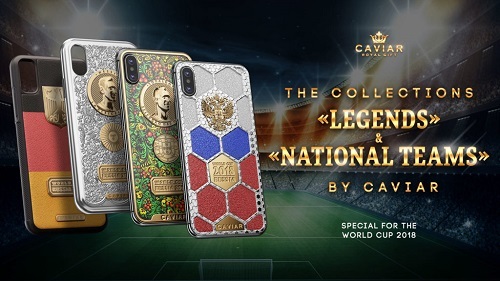 Specifically for the World Cup 2018, the Russian brand of luxurious smartphones and accessories, Caviar, created a collection of iPhone X “Football Legends” with golden portraits of the football players from various countries. Among them, there are Igor Akinfeev, Lionel Messi, Cristiano Ronaldo, Harry Kane, Thomas Müller, Paul Pogba, Kevin de Bruyne and Neymar. The design of the phones is built in a unique way – each smartphone unites the flair and peculiarity of two countries at once – Russia as the cost country of the Championship, and the country for the National Team of which the hero presented on the smartphone is playing. Every design includes a volumetric player’s portrait; it took one week of time to create each portrait, because the designers were aiming to reach an absolute identity with the real prototype. 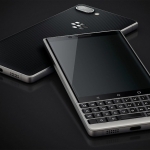 Around the portrait, there is not only an engraved name of the footballer, but also the symbolic, engrained alias of the team, like “Three Lions” on the smartphone dedicated to the English Team, “Rode Duivels” – on the model dedicated to the Team of Belgium. In the case with the Russian Team, the designers let themselves imagine that the nickname “Zabivakas” produced of the name of the Championship’s symbol can be assigned to the team if it shows a good result. There are also a gilded plate decorated with the commemorative inscription “World Cup 2018 Russia” and the emblem of every country covered with gold. A special attention is attracted by the background pattern, which was developed for each model individually. Every ornament is a variation of classic, traditional Russian painting or national embroidery. For example, the portrait of Paul Pogba is complemented with the pattern repeating the Russian folk embroidery; Neymar is “surrounded” with the “kudrina” pattern, the background for Ronaldo’s image is the “berry” ornament, and the portrait of Lionel Messi is complemented with the painting in the Gzhel style. However, all the patterns are performed in the colors of the Teams’ flags and the sport uniforms of the teams correspondingly. The designers have thought out and implemented such an unusual approach to underline the uniting power of sport and to symmetrically pay the tribute to the legendary National Teams of various countries and Russia that welcomes the Championship. 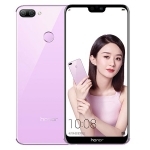 The cost of these phones starts from 4 622 dollars. For the first time the brand introduced not only smartphones, but also cases made in two formats – soft, decorated with natural leather and hard, made of titanium, with a two-level protection from damage. Their designs are also devoted to the Championship and its heroes, and the price starts from 434 dollars.